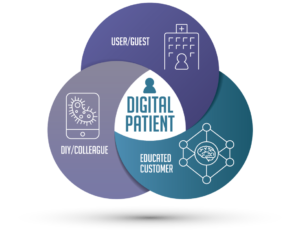 The key reference point to successfully navigating the healthcare maze is the digital patient. Increasing use of vast amounts of data gathered from many sources means that the digital patient must be the precise focus of that data. The rise of artificial intelligence into the healthcare mix will only strengthen the argument for making the patient digitally proficient. 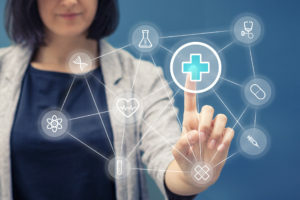 Healthcare interest groups — providers, payers, purchasers and regulators — must be engaged by enabling their consumers to use data never before available. Yet the healthcare environment is failing to increase the reach and capabilities of the digital patient. Digital patients have higher expectations than patients have had in the past. They are more knowledgeable about how to access and use data on their own. It is a capability created and reinforced in digital commerce. It is used in personal research done on a wide and extemporaneous scale as answers to questions are found in a few sweeps of a keyboard or smartphone. With this new capability for knowledge comes the power and judgment to look at their healthcare systems relationships. Access to facts, opinions and trends that are data-driven are baseline needs of the digital patient. Healthcare systems must adjust their focus and execution in order to meet the expectations of the digital patient. To cope with the new demands of an expanding healthcare audience, the healthcare system must change to a multifaceted capability in response to different needs of different consumers. And, it must do so in a way that the users can find the information uniquely suited to meet their needs at the point of a question being asked. It is not enough for the healthcare IT management team to speak of its capabilities. The team must live it every day, flawlessly. This is the fifth in the series of articles addressing the digital patient and the healthcare ecosystem’s response to a more complex and demanding audience. Our next topic will be how to create an environment for the digital patient to thrive. Please subscribe to our blog to stay tuned. You may also reach out to the author, EC-United Executive Partner Robert H. Booz (rhbooz@ec-united.com), for more information.